Paul Lambert has suggested Aston Villa should abandon their 'bargain basement' transfer policy next season if they manage to avoid relegation in the coming weeks. Villa have floundered for a second season under the Scot's guidance as he leads a squad of inexperienced youngsters and cheap or free signings. Lambert has consistently toed the line and spoken in defence of the club's frugality since arriving from Norwich nearly two years ago. But with question marks around his own future and rumours that owner Randy Lerner wants to sell up, the manager has changed tack after being linked with the likes of Javier Hernandez, Lewis Holtby and Joleon Lescott this summer. "I think a football club of this size needs that calibre of player," he said ahead of Saturday's crunch Barclays Premier League visit of Hull. "I'm not just talking about those three lads because it would be wrong for me to talk about them but we need that level of player for the size of this club, wherever they come from. "This club needs big players. "It's not acceptable for this club to keep doing this, it's been four years of battling against relegation. It's too big a football club to do this. That's the reality. I think everybody knows that." Asked how likely it is Villa could attract - or afford - that level of player, Lambert said: "The chairman will come out and say what he's got to say in May time, I think. "I don't know what he's going to say and that's me being totally honest with you. "This football club, with the tradition and history it's got, should not be fluctuating like this. You are where you are. "The chairman will come out and be honest with everybody. It's his football club and I don't think anyone can ever be critical of what he's done for this club. There's no way anyone could do that and I'm pretty sure he'll say what he's got to say." 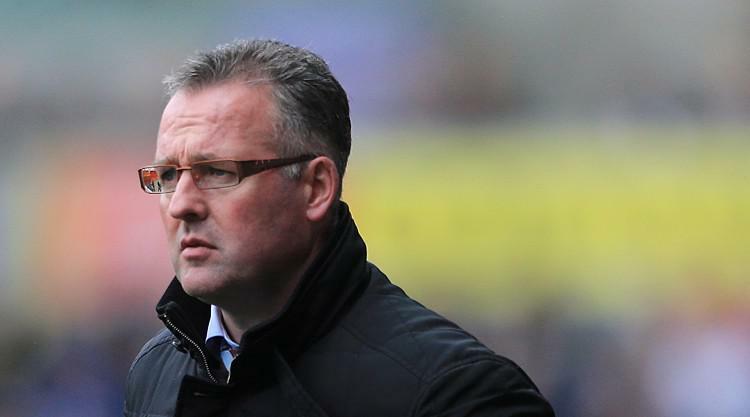 Lambert denies his apparent change of stance will irk the club's hierarchy. "I'm not breaking ranks," said the former Colchester boss. "I'm just saying that a club this size needs to be up there (competing). "I know the situation and Randy will say what he's got to say. I think he's been fair with everybody about exactly what's happened and he'll (speak) when the time's right."